Marijuana and controlled substance possession offenses in Oakland county are treated strictly, and the possible sentence for marijuana or drug delivery is even more severe. Depending upon the offense, a marijuana or a controlled substance conviction can result in loss of freedom, loss of your job driver's license sanctions, loss of a professional license, and loss of your ability to live your life as you choose. Marijuana and drug convictions for non US citizens can lead to deportation. Even if your marijuana is your medication, a Judge can prevent you from using marijuana while on bond or probation at the Judge's discretion. A sentence for a marijuana or a controlled substance charge can be impacted by a number of different factors such as: the weight of the controlled substance involved; the type or schedule of controlled substance possessed; alleged intent of the Defendant (use, simple possession, delivery, conspiracy, etc. ); the location where the marijuana or controlled substance was alleged possessed or distributed (home, school zone, prison, Federal land, etc. ); who is prosecuting the allegation (city attorney, State prosecutor, or Federal prosecutor); the presence of a firearm in the commission of the offense; the Defendant's prior record. Not all marijuana and drug convictions result in incarceration, and many first time marijuana and drug users and possessors can avoid having a conviction on their record. Having an experienced, well seasoned defense lawyer representing you may make the biggest difference in your result. 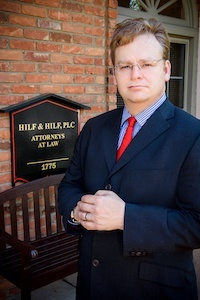 Searching for a Top Rated Oakland County Michigan Drug Defense Lawyer? Do not settle for an inadequate, unprepared legal defense when it comes to your marijuana or controlled substance case. Defending marijuana and controlled substance cases is an ability that develops over many years with extensive courtroom experience and the development of legal acumen. Hiring the right drug defense lawyer for you or a loved one may be one of the most important decisions you ever make. If you have been charged in Oakland County with a controlled substance possession or delivery crime, contact us.